Prime will roll out some of its new-season shows in mid-January, with a busy slate of premieres that includes MacGyver, a Doctor Who spin-off and the first series of The Great British Bake Off to screen here in HD. The MacGyver reboot will air 7.30 Thursdays from January 19, ahead of the series premiere of Bull and the return of Madam Secretary. 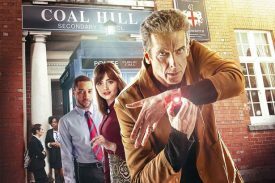 The same week Prime will refreshen Fridays with the latest seasons of Scorpion (7.30) and NCIS: New Orleans (8.30), and the premiere of the Doctor Who spin-off, Class (9.30). Antiques Roadshow will return for its 38th season (7.30 Saturdays from January 14) and The Crowd Goes Wild will resume 7.00 weeknights from January 16. And premiering Tuesday in the Prime Rocks slot will be Crowded House – Live From The Sydney Opera House, which was recorded in November to mark the 20th anniversary of the band’s farewell concert. Ahead of the concert Prime will lift the lid on the penultimate season of The Great British Bake Off to star the original team. 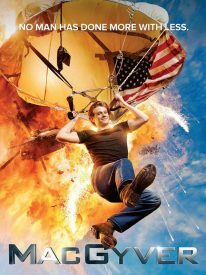 Both MacGyver and Bull received full season orders from CBS soon after their debuts because of how they improved the ratings for their respective time slots. That was despite MacGyver being one of the worst reviewed new shows of the 2016/17 season. Courtroom procedural Bull didn’t fare much better. 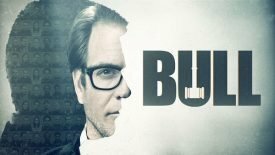 It stars NCIS’ Michael Weatherly as a trial consultant who helps to analyse juries, a character that was loosely based on Dr Phil McGraw’s days as a lawyer before he became a daytime talk show host. Variety dismissed it as “totally ridiculous, in concept and execution” while the Boston Globe said the case-a-week format was “filled with legal cliches“. The pick of the newcomers looks to be Class, which is set in Doctor Who’s Coal Hill Academy. Should have aired the Crowded House special live like it was on the ABC in Australia and create some buzz or even the next day. But two months after is a bit flat. True, but holding it until now gives Prime a noteworthy special to help promote its new season.